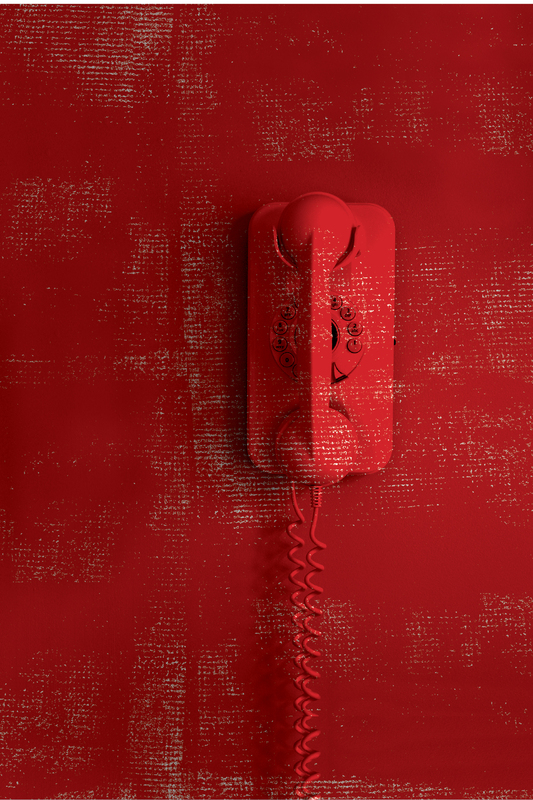 Red Phone is a one-of-a-kind performance where anyone can engage in some of the most urgent, touching and uplifting conversations that prominent Canadian writers think we should all be having. We are asking Canadian playwrights and screenwriters the question: what is the most urgent conversation you think everyone should be having? Then, we’re asking them to write it. And, asking you to have it. Red Phone is a conversation that you will not soon forget. Part theatre and part social intervention, this audience-to-audience performance uses the intimacy of a phone call and the technology of a teleprompter to introduce strangers to each other. The two audience members are then guided through a conversation about life, art and their surroundings. 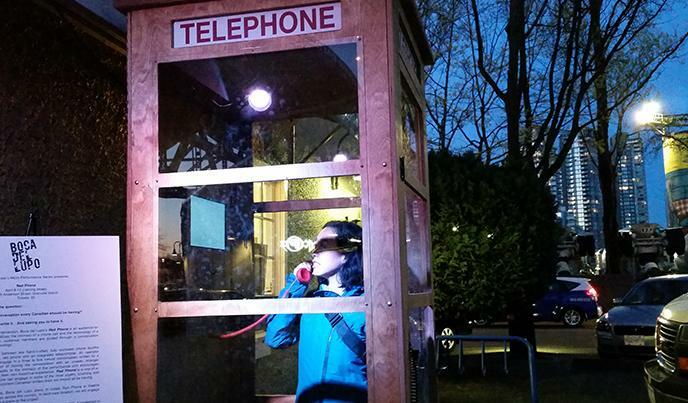 The experience takes place between two beautifully-crafted, fully enclosed phone booths outfitted with a curly corded red phone and an integrated teleprompter. An operator prompts two participants to engage in a conversation written by a Canadian playwright. As only two audience members are allowed at a time, please note you may expect a wait for your turn. Working across cultures and disciplines, Boca del Lupo’s productions are energized by the collision and confluence of difference. Since our inception in 1996, our artistic focus explores cultural hybridity and interdisciplinary by convening artists from diverse backgrounds and giving them voice. We expand creative possibilities through innovations and partnerships with a repertoire that includes 50 original creations and unique presentations, along with our annual Micro Performance Series and our social enterprise, MediaLab.